Amber, welcome to my Christmas series of Writers on Reading. As I’ve said, I’ve been looking forward to these interviews like—well, excuse the cliché—but a kid at Christmas! 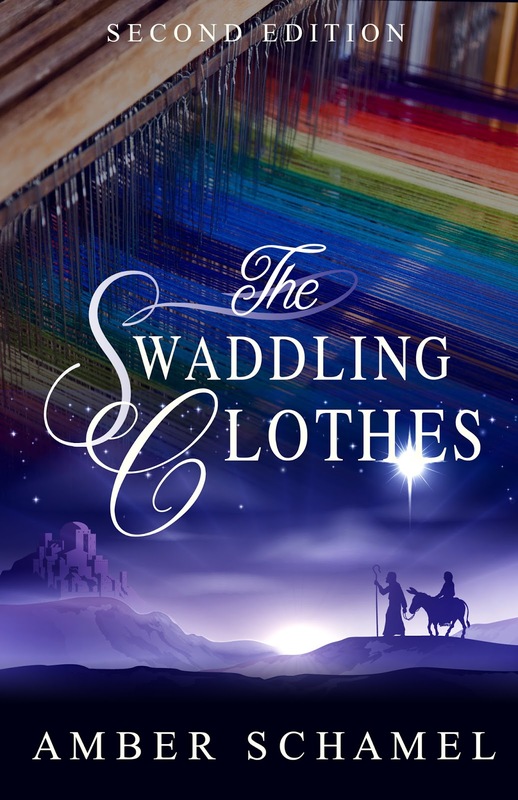 Your Biblical Christmas story, The Swaddling Clothes, recently rereleased and offers a unique twist to the traditional-style Christmas stories. What is your favorite part about a Christmas-themed story? I love Christmas stories because they have the unique ability to bring the spirit of Christmas to life. Somehow, stories can take the warmth and happiness of Christmas, weave it onto the page and right into the heart of the reader. What a beautiful answer! That’s a delightful way of looking at it. So…what do you look for when selecting a Christmassy novel or novella to cozy up with this month? I enjoy Christmas stories that are clean, tug at your heart, and have a really unique concept to them. For example, one of my favorite Christmas stories of all time is The Christmas Shoes. It's one of those stories you don't easily forget. I don’t know about you, but many of us associate this season with traditional baking. I don’t think a traditional Christmas novel would be complete without those special scents floating around in your head. What are your favorite Christmas goodies to read or write about? Anything spicy. I love the cinnamon, clove, citrus. Ginger, and molasses smell of Christmas, and I'm instantly transported there when I find these in books. Unfortunately, that wasn't part of the first Christmas, so I didn't get to write it into my scenes. lol. Very true, make me laugh. Is there an element of these books that you’d feel cheated if it wasn’t there? Or something special you like to add to a Christmas story? The true spirit of Christmas must be there. To me, that means sacrifice, giving, and family. Again, beautifully answered, Amber! Says a lot for your Christmas story. As far back as you remember, what was the first Christmas-related fiction story you read or had read to you? Is there a Christmas book you like to share with children? Do you have any other special Christmas reading memories? Wow, I haven't thought about those stories in forever! The first ones I remember are the classic books The Tin Soldier and Twelve Days of Christmas. I loved the story of the Tin Soldier. Actually, I think I'm going to log onto Amazon and purchase a copy. The youngsters in my house probably haven't heard that one since our old book fell apart years ago. How very special. I’m so glad to have brought up an old memory—and one you can share with us and with the children in your life. The Tin Soldier will always invoke Christmassy thoughts of a luscious ballet to me. So, other than The Tin Soldier—grin—what is on your Christmas fiction to-read list this year? And what is your ideal Christmas reading experience? On my TBR for this year is the rest of The Christmas Traditions series (I read two or three of them last year. ), Christmas at Harmony Hill and The Christmas Wish by Susan J. Reinhardt. Sounds like a delightful reading experience and a good reading list ahead for you. Over the years, has any Christmas novel or novella really stuck with you that you’d like to share with our readers? And is there one you’re looking forward to rereading? The Fruitcake Challenge and Where Treetops Glisten. I read those last year, and am hoping to revisit them this season. How fun! Thanks for visiting with us, Amber. It’s so fun getting to know the writers as readers. Folks, you can continue to connect with Amber—and discover more about her stories!—at the links below her bio. 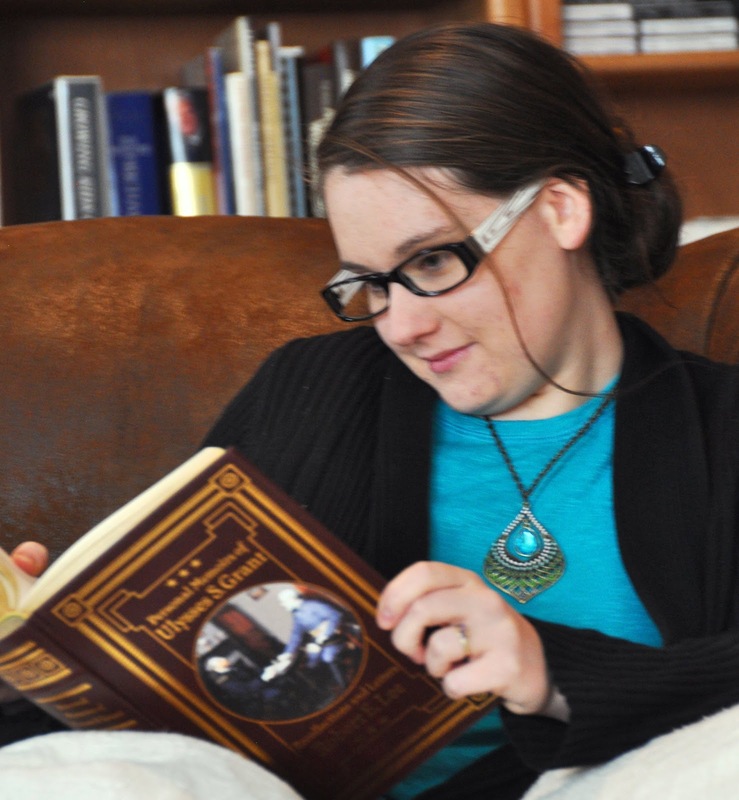 BIO: Multi-published author Amber Schamel writes riveting stories that bring HIStory to life. She has a passion for history, books, and her Savior. This combination results in what her readers call “historical fiction at its finest”. A homeschool graduate from a family of twelve children, Amber found her calling early in life. First published at age twenty-one, she has continued to hone her craft and is now the author of over half a dozen books. 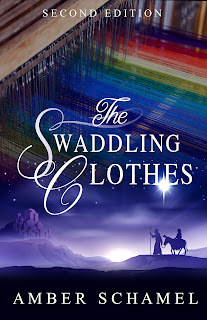 Between ministry, family, and working in their family-owned businesses, Amber loves to connect with readers. Find her on the Stitches Thru Time blog, or on any of the major social media site. 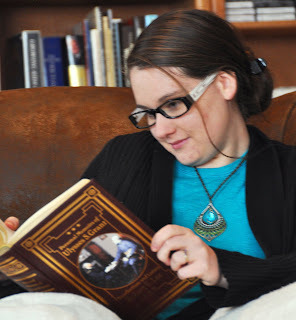 Amber is a member of American Christian Fiction Writers and the Historical Novel Society. Thank you for hosting me, Deidre!